Our latest and greatest SUV has everything you need and then some more from Nil Advance Payment. 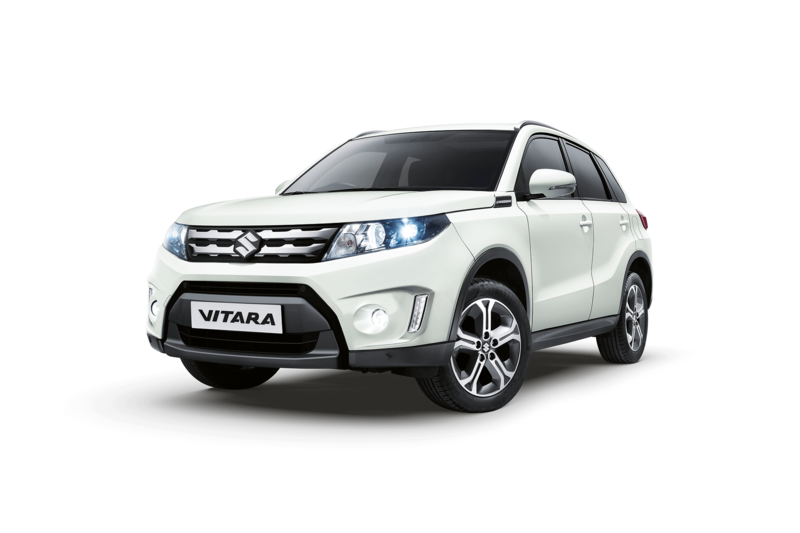 With its strong SUV styling, the Vitara has the bold good looks to stand out on the streets and fit in on toughest of conditions. View the full range of Suzuki Motability offers: Motability from Suzuki. The Motability Scheme is available to the recipients of the Higher Rate Mobility Component of Disability Living Allowance, the Enhanced Rate of the Mobility Component of Personal Independence Payment, War Pensioners’ Mobility Supplement or Armed Forces Independence Payment. The lease agreement is with Motability Operations Limited, City Gate House, 22 Southwark Bridge Road, London SE1 9HB. This offer is available on orders placed with Sparshatts Suzuki between 1st January 2019 to 31st March 2019, subject to availability and is not available in conjunction with any other offers. Full written quotations and details, including terms and conditions, are available on request. All payments and specifications correct at time of publishing. Fuel economy and CO2* results for the Suzuki Vitara range in mpg (l/100km): Combined 36.6 (7.8) to 45.9 (6.2). CO2 emissions: 143 to 121 g/km. The fuel consumption you achieve in real life conditions and CO2 produced will depend upon a number of factors including the accessories fitted (post-registration), variations in weather, driving styles and vehicle load. *There is a new test used for fuel consumption and CO2 figures. The CO2 figure(s) shown however, is based on the outgoing test cycle and will be used to calculate vehicle tax on first registration. Only compare fuel consumption and CO2 figures with other cars tested to the same technical standard.